Comes with a mounting kit to attach it to your sewing machine or other objects. 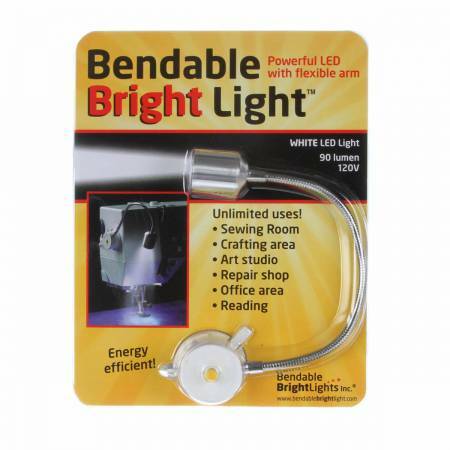 Brilliant flexible light for detailed projects. Quality metal flexible arm and metal light housing. 100,000 light hours, 120 volts, energy efficient LED. Replacement mounting brackets are available, #BR-BBL. Adele tip: To share with other machines purchase a replacement mounting bracket for every other place you need to move it to.